i b i k e l o n d o n: Bring me your cycle chic! Bring me your cycle chic! 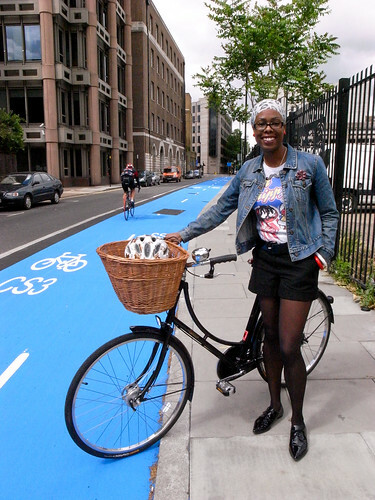 For me, one of the most exciting elements of the launch of the Barclays Cycle Hire Scheme today is that very soon there will be thousands of people making short journeys around London by bike in their ordinary day-to-day clothes; exactly the everyday and ordinary cycling I like to see promoted. 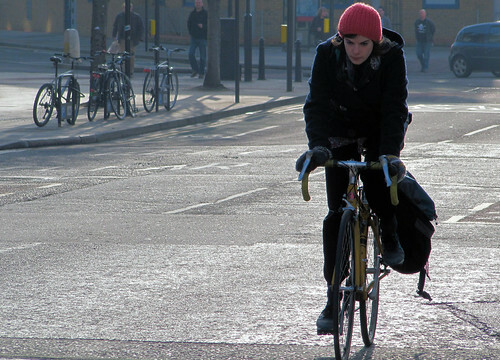 I still think, for the vast majority of people who don't cycle, riding a bike is still seen as being somehow 'other' or 'alien' requiring special gear, funny clothes or lycra, and this is a stumbling block towards being able to see themselves cycling. All that gear is just well and fine, of course, if you're doing a training run for your local bike club or have a 20 mile commute, but its unfortunately become such an overpoweringly dominant image of cycling that many people can't envisage themselves riding from A to B on a short hop in their normal clothes. 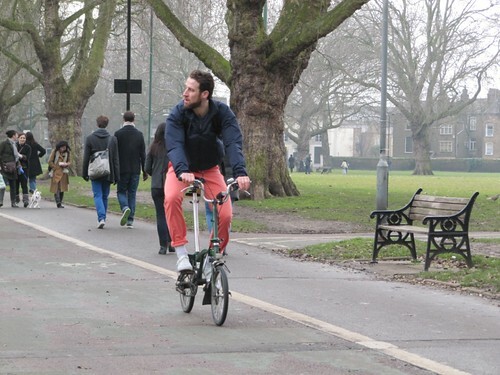 I've discussed before cycling's PR problem and its serious consequences, maybe the bike hire scheme will help in to combat this and make us all appear a bit more human to the non-cyclists with whom we share the road. To this end I'm a big fan of 'cycle chic', aka showing people cycling in their ordinary clothes and looking comfortable and stylish in the process, so today I'm sharing some snaps with you all that people have shared via my London Cycle Chic group on Flickr; please feel free to add your own pictures to the group and every month or so we'll run a 'best of' blog entry here at i b i k e l o n d o n.
Good luck to everyone using the cycle hire bikes for the first time today; take your camera and bring me your cycle chic! Well - that has made my day! Thank you so much for featuring me on your blog Mark... I'm honoured! It's always fabulous to see Cycle-Chic being promoted & hopefully the hire Scheme will further help promote this message... that would be fabulous! What a fabulous variety of chic styles! Lady Velo on her Pashley in particular makes me smile. What elegance. 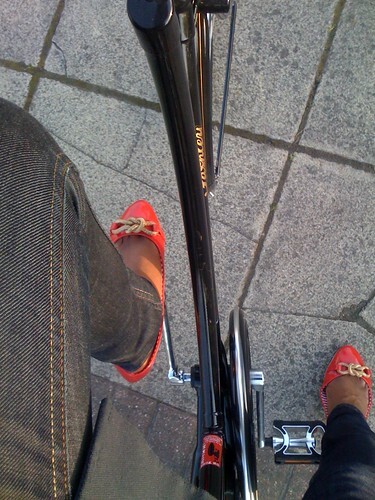 I'm all for cycle chic.....thanks for sharing the photos. I'm looking forward to seeing the photos sent in by your readers trying out the cycle hire bikes for the first time. Trying to get a weatherproof jacket that isn't black at the moment, and its proving difficult! By the way, come and join us on September 2010 Cycling Tours in September with Inside ProCycling Tours. Experience the great scenery of Italy on September for the 2010 Cycling Tour. Ride and enjoy Italy! This would be totally exciting!